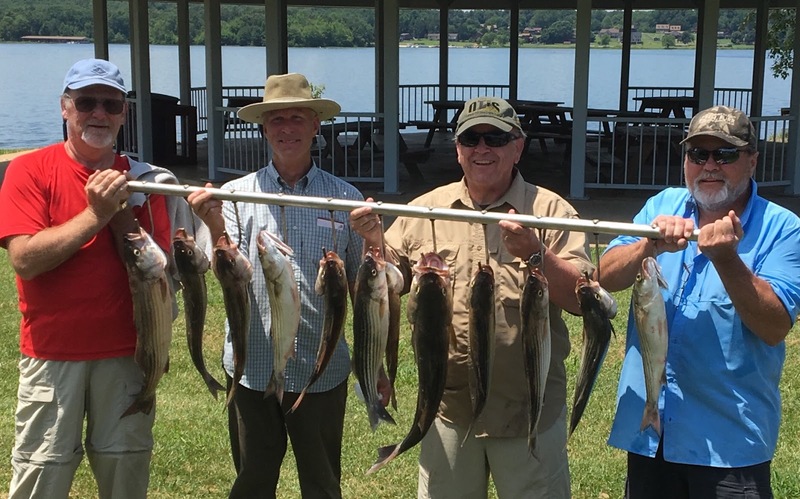 A good friend Floyd fished today out of his boat and caught some very nice fish. 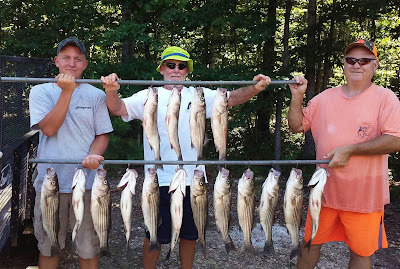 I was going to say fishing has to be great for him to have a stringer like that but he has improved tremendously in his efforts to locate and catch Stripers on Lake Anna. He has almost broken the code to catch fish with regularity. A beautiful day on the lake.